Q: 'Using spotify music for video projects. I would like to use a few songs from my spotify for my video projects. 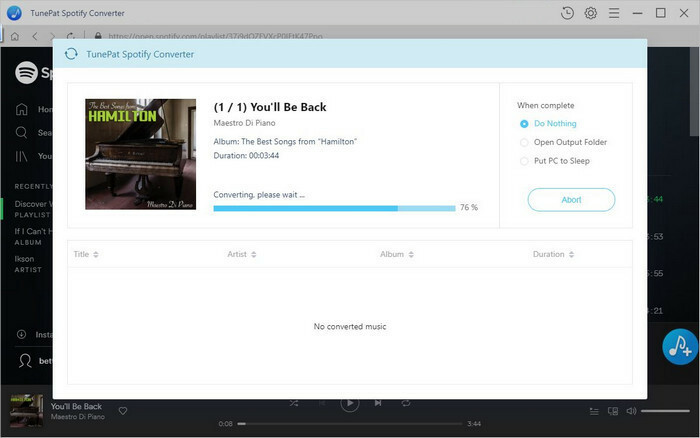 Is it possible to transfer the song from spotify to my computer?' bizness asked on Spotify community. Nowadays, more and more people prefer to create videos to record the life, product presentation or build a personal brand. Adding background music not only helps make your video more interesting, but also attract your audience and enhance the publicity effect. Have you ever also wanted to add music from Spotify to your video like bizness? As one of the most popular music streaming services, Spotify has a catalogue of more than 35 million songs with no listening limit. Furthermore, you can use Spotify apps for Windows, Mac, and iPhone or Android device, along with the Spotify web app available across all platforms. Still, when you try to use Spotify songs into video projects, all attempts failed. Users can freely enjoy Spotify music within Spotify application. However, you can't take any content from Spotify outside of the Spotify client. That's because all music from Spotify is streamed in a DRM encrypted format. That is to say, even if you paid for the Premium subscription, you only got its right of use but never its right of ownership. Is there a way to add music from Spotify to Video projects? For Mac and Windows users, we highly recommend you to TunePat Spotify Converter. It is an easy-to-use Spotify Audio Converter helping you to download Spotify music, playlists and albums to MP3, FLAC, WAV and AAC easily. With a built-in Spotify web player, you can select to convert any songs from Spotify as you like without Spotify application. Thanks to TunePat Spotify Converter, you can remove the DRM protection from Spotify Music and get the DRM-free Spotify files. Therefore, you are able to enjoy Spotify songs on any other programs and devices. 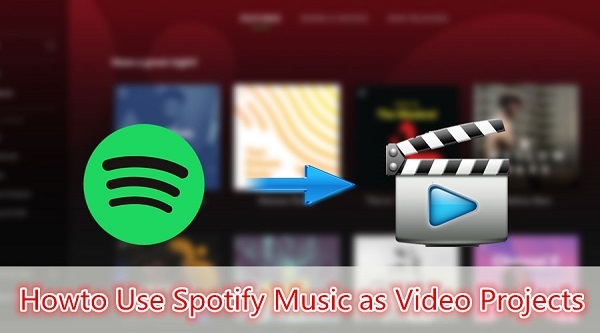 Read the completely guide below and learn how to add Spotify music as background music to your video projects by using TunePat. The first requirement is downloading and installing the program on your computer. Launch TunePat on your computer, click button on the lower right-hand corner of the interface, you will see the Settings window pop-up. Then you can choose MP3, AAC, WAV and FLAC as the output format. At last, click the Convert button, the Spotify Music conversion process will begin. TunePat Spotify Audio Converter enables you to start the conversion with up to 10X faster speed. Once finished, you can find the converted Spotify music on your history folder. Now you can add Spotify songs to a video editors such as Windows Movie Maker, VideoPad, iMovie, LightWorks, Kdenlive, Openshot, etc. And almost video editors works' much like. Here we will take OpenShot for example to show you how it works. Launch the video editor on your computer and import files into OpenShot. 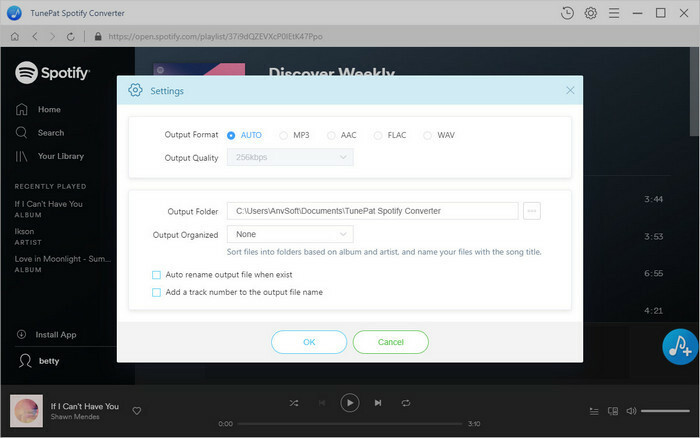 To add a soundtrack to your video, you can drag and drop the converted Spotify music file into your timeline. 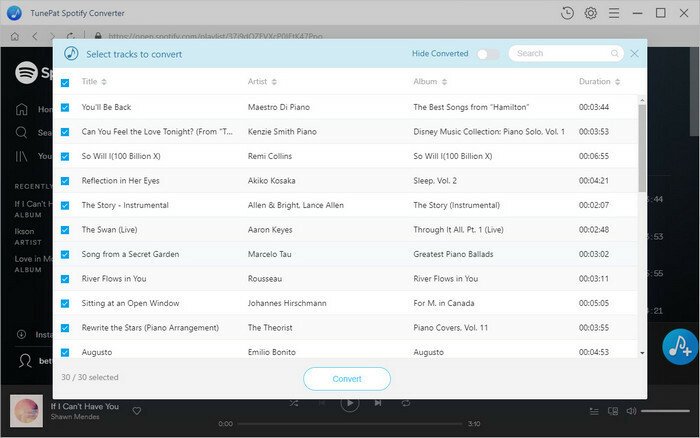 Besides, you can also import or upload the music by using the provided key. Want to add music from Spotify to your video? TunePat Spotify Converter allows you to download Spotify songs easily so that you can use Spotify music on your videos with ease.